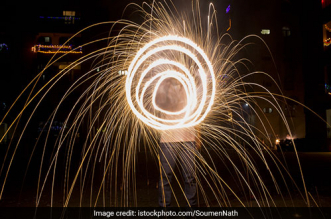 Mumbai: For Ashok Roychowdhary, winter has always been synonymous with welcoming international guests at Kolkata’s famous Santragachi lake. As a child, he would always eagerly wait for arrival of the winter to catch a glimpse of his favourite birds – Red Crested Pochards, Gadwalls, Common Teals, Knob billed Ducks flying in all the way from Kazakhstan, Russia and China. That was back in 1970s. Reminiscing those childhood days now, 18 years later would sadden him as he thought his children may never get to see such exotic birds. After all, over the years the number of birds arriving diminished to a trickle, lowest being 800 in 2018. 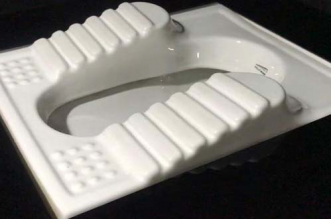 But then something changed. 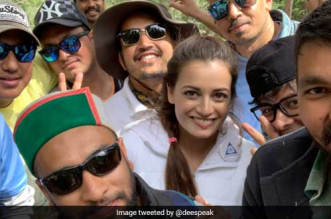 On December 25, when Ashok took his children to the lake, he was surprised to see the colourful birds. Thousands of them, they had finally made a comeback amidst the growing concrete jungle in Kolkata. Courtesy, Nature Mates, an NGO specialising in wildlife conservation. 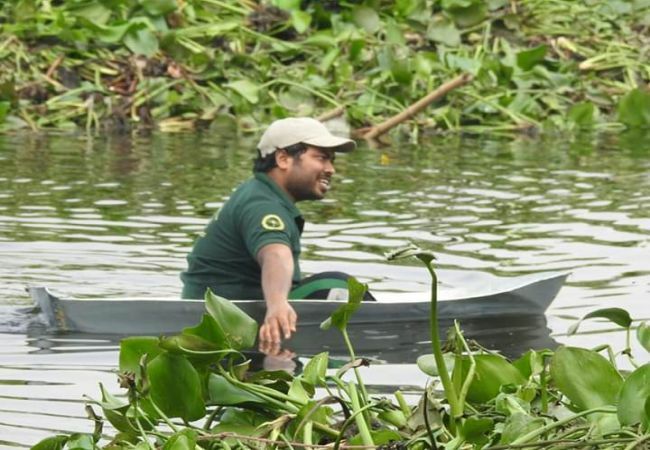 Formed in 1995 by Arjan Basu Roy, the NGO has been working towards maintaining Kolkata’s biodiversity. It has rescued wildlife in distress from different areas of the city and handed them over to the Forest Authority for proper rehabilitation. It is also been involved in activities like tree plantation and making butterfly gardens. 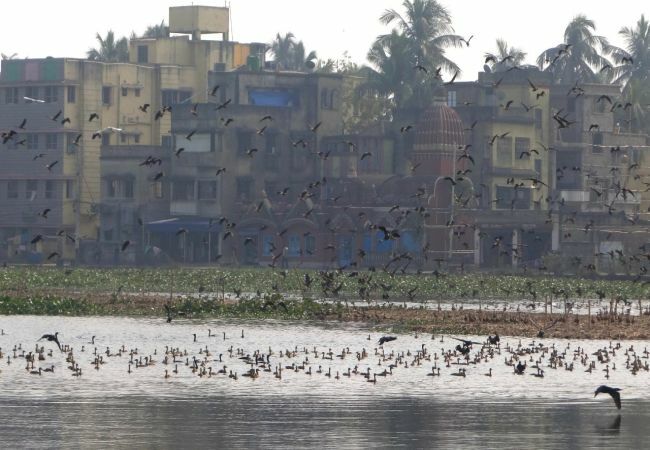 The NGO recently shifted its focus to rejuvenating the Santragachi lake after the National Green Tribunal in 2017 slammed the Howrah Municipal Corporation (HMC) and the Forest Department for carrying out a botched-up cleanliness drive at the lake in 2017 that led to a reduction in migratory birds from thousands to hundreds. The number of migratory birds has come down significantly over the last decade due to concretisation around the lake. In addition to that, every year the corporation conducts a cleanup drive right before the birds are about to migrate from other countries. However, the drives have been unscientific. 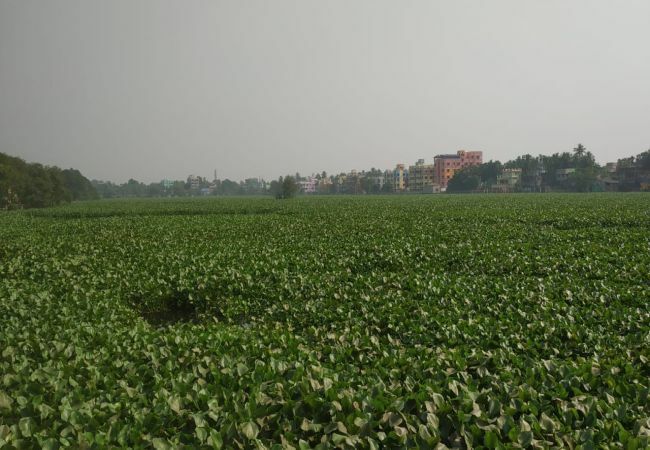 Most of the times, the corporation fails to remove the water hyacinths which disturbs the ecological balance of the lake and in turn deters birds from flying around it, says Prosenjit Dawn, a college professor and an expert on wildlife conservation from Nature’s Mate. 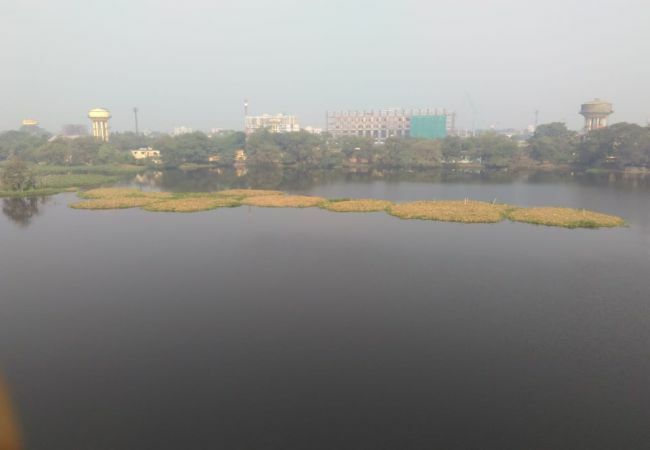 Realising the damage such cleanliness drives are causing to the lake and the birds, the organisation approached the HMC and Forest Department requesting them to let the citizens take part in the drive of December 2018. Being an organisation which has experts on the subject and having worked in the field for so many years, it was not a difficult task for us to take the HMC in confidence. Once they were on board, we decided to hire labourers who are trained in removing the hyacinths, says Mr Dawn. 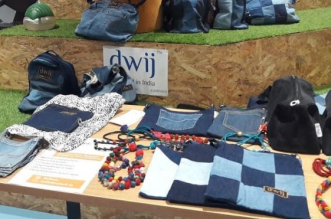 As money was needed to hire the labourers, the organisation started a crowdfunding for the project in November 2018 by inviting corporates, educational institutions, citizens and other NGOs to contribute financially. On one hand, organising funds was proving to be a challenge, on the other, time was running out. The lake had to be cleaned by the first week of December when the migratory birds normally arrive. 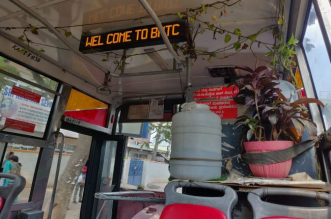 However, the citizen-led group was able to overcome the problem by announcing their project on social media platforms after which a funding poured in. 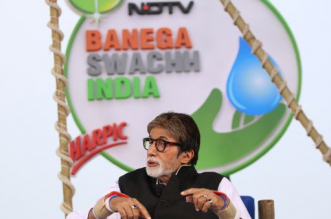 A total of Rs 4.75 lakh was collected. 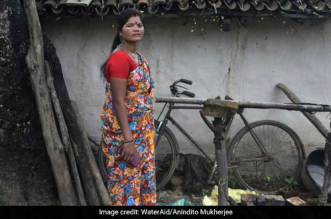 The organisation was able to afford 50 labourers for 12 days and to strengthen the manpower, over 75 citizens from all walks of life joined the mission. The HMC and Howrah City Police also contributed by providing necessary equipment and labour. 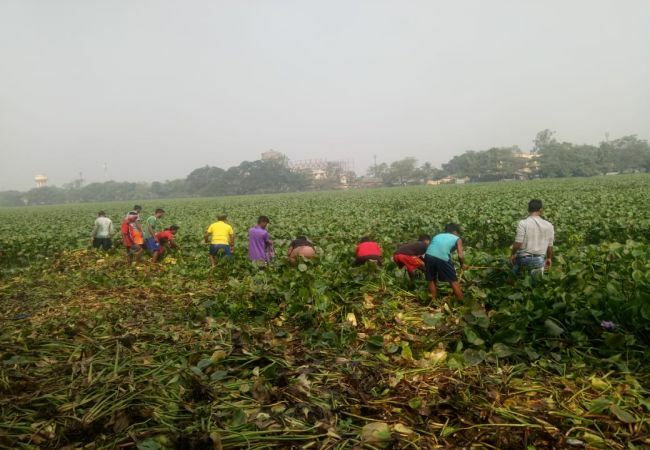 The volunteers were given a crash course in removing the water hyacinth by the trained labourers. 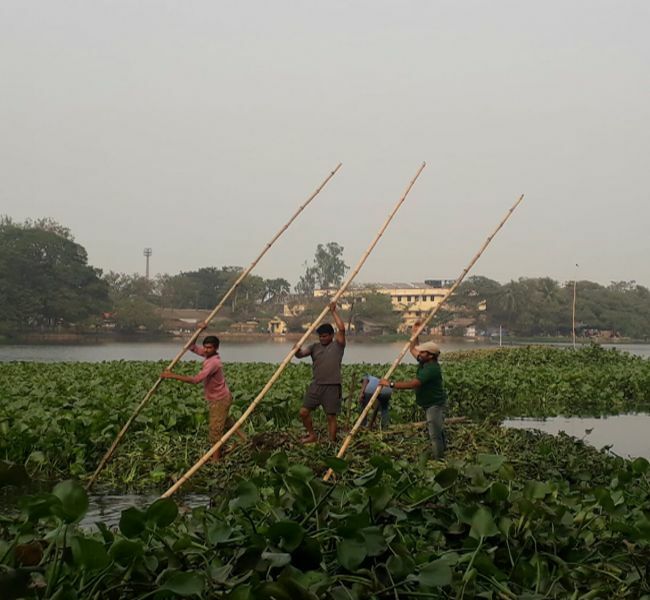 Spread over 33 acres of land, the Santragachi lake was 90 per cent covered with water hyacinth and the task was to remove 60 per cent of it. The remaining would be used by the birds to sit or rest. As per official records, only 800 birds were recorded in January 2018 as against 3,500 birds in 2017. 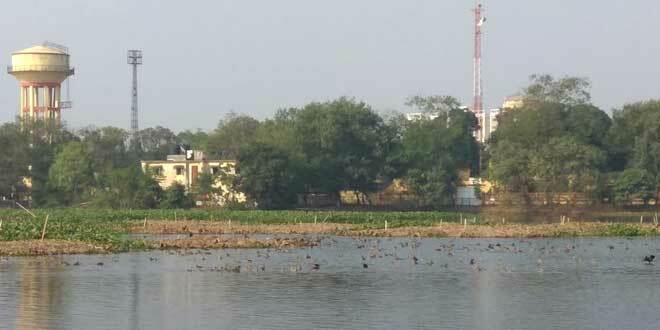 The mission was to increase the number of birds by scientific treatment of water hyacinths. From November 21 to December 4, over 100 people worked together in unison for an average of 5 hours per day to clear the lake. On weekends the number of volunteers and working hours went up significantly. 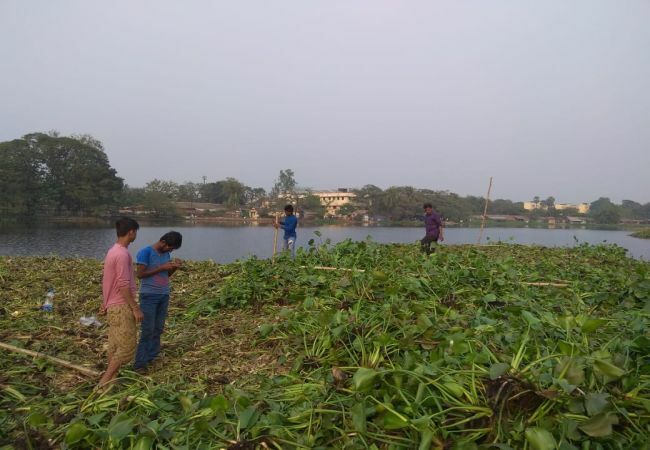 The volunteers manually removed the hyacinths from the lake. In the very first week of the clean-up, 40 per cent of the hyacinth was removed. Instead of discarding them at the landfills, the volunteers decided to reuse them and make floating islands in the middle of the lake for the birds. 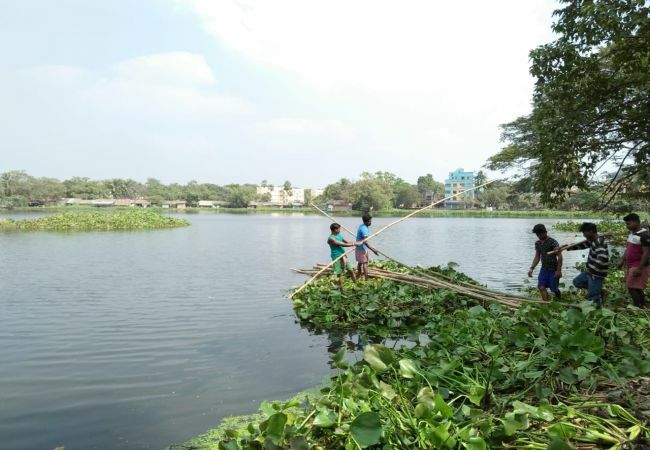 On December 3 the project of removing the water hyacinth was officially completed and around 500 birds were already flying around the lake. Without wasting any time, the volunteers started to make the floating islands from the next day. Making floating islands is a tedious task but not difficult at all. All we had to do was arrange for bamboos and ropes, connect the water hyacinths with them. All the hyacinths were used to make 15 round floating islands that were pushed in the middle of the lake, says Mr Dawn. On January 13 this year, the census was conducted again and a total of 4,000 domestic and international birds were reported. 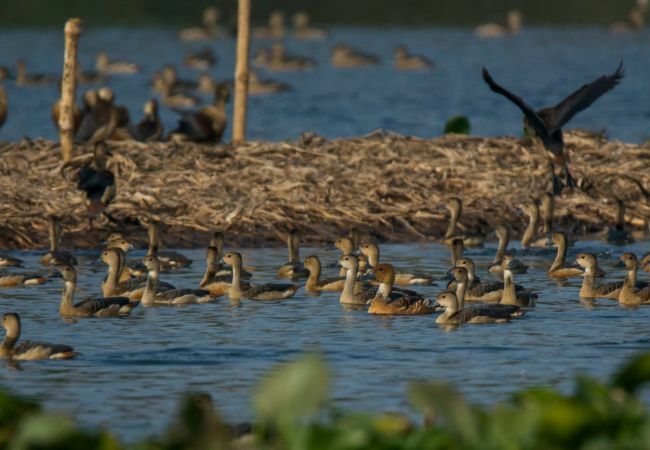 Exotic birds like Fulvous Whistling Duck, Common Teal were spotted at the lake after a long time.